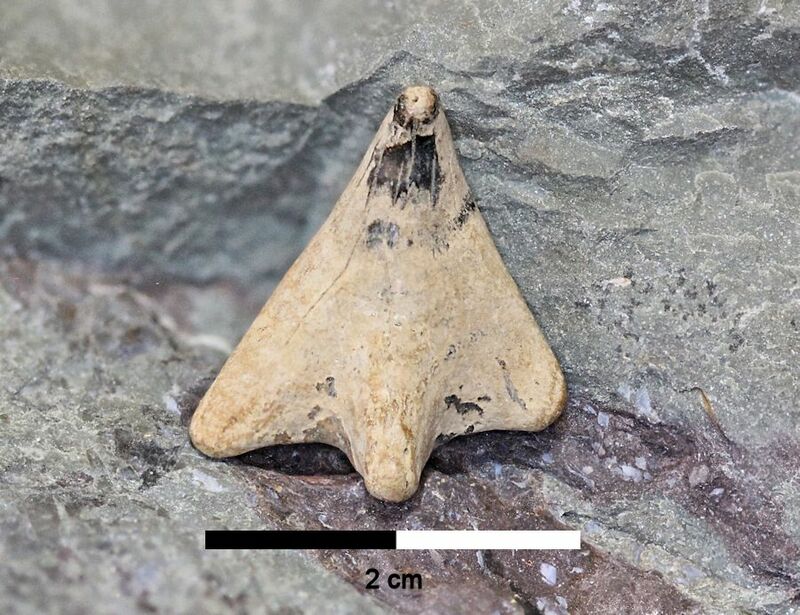 Unlike sharks that continually replace rows of teeth throughout their life, chimaeras possess three pairs of mineralized tooth plates. They used these teeth to crush bivalves, crustaceans and echinoderms associated with the seafloor. 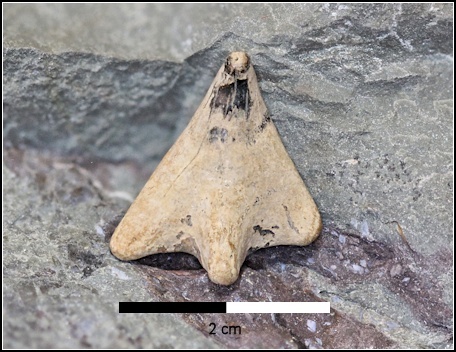 Due to their cartilaginous skeleton, specimens of early chimaeras are known from just isolated tooth-plates and fin-spines. 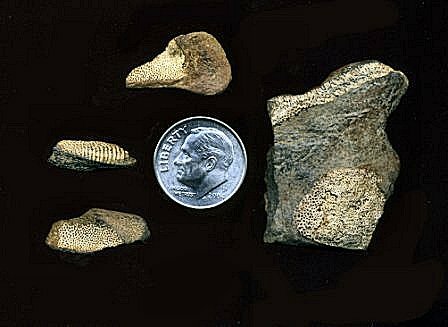 Fragments of chimaera tooth-plates are common in the Cretaceous streams of New Jersey, finding plates complete enough for identification is a bit more difficult. 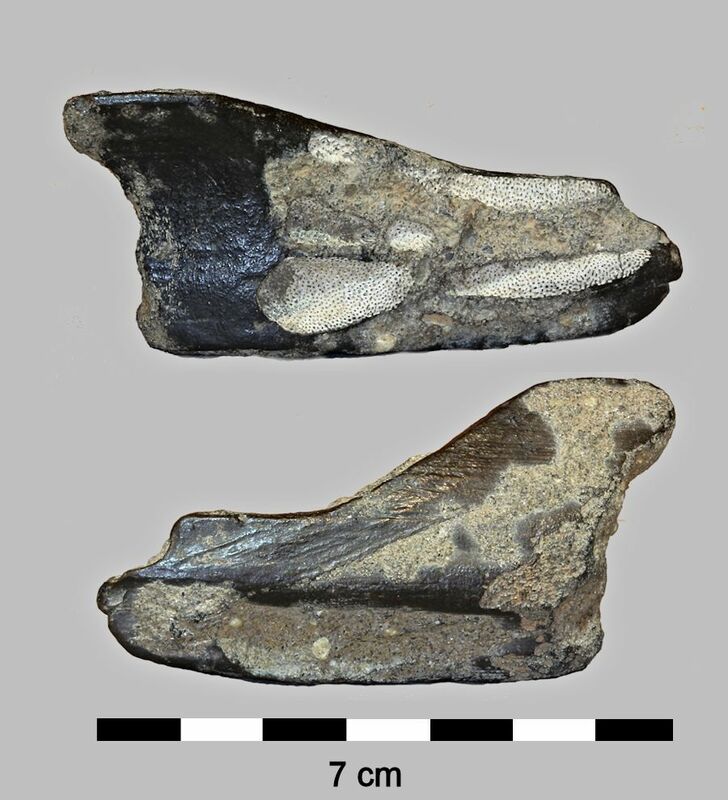 It's worth mentioning that all the complete plates I've found are Ischyodus bifurcatus palatine plates (identification by Dr. Earl Manning). 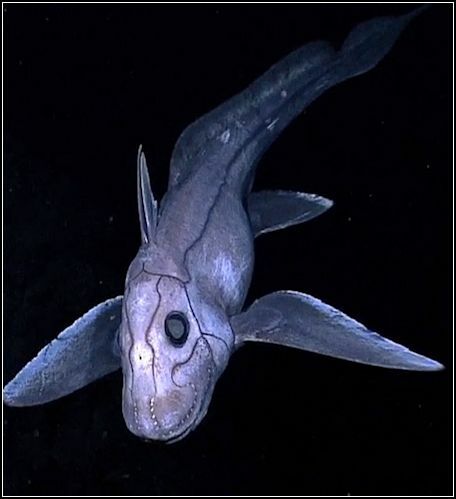 Deep-sea chimaera photographed by the NOAAS Okeanos Explorer. 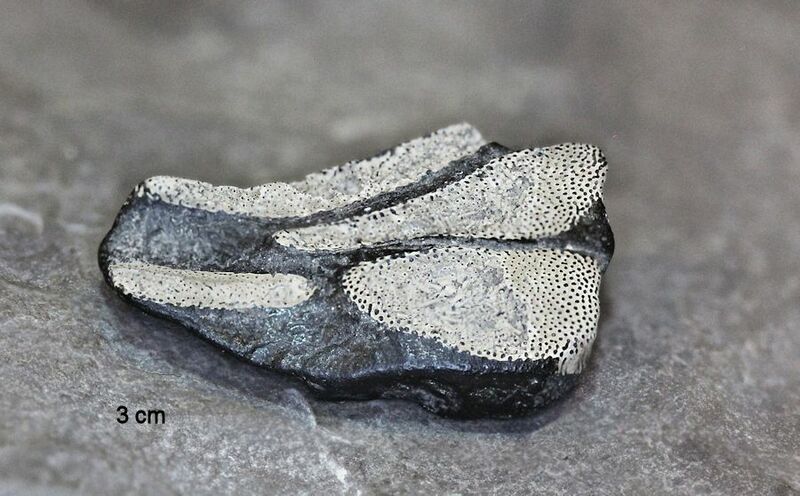 Ischyodus bifurcatus palatine plate just a little under 3 inches. 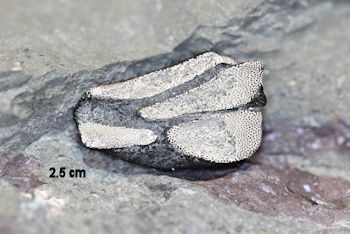 The palatine elements of I. bifurcatus contain 4 distinct tritoral aspects, none of which are fused. An assortment of fragments, the ones on the left are typical finds. A close up of the tritors. this picture to give the reader a general idea of what cephalic claspers look like. CASE, G. R. 1978. Ischyodus bifurcatus, a new species of chimaeroid fish from the Upper Cretaceous of New Jersey.